This year we celebrated our five year wedding anniversary. In true Murphy fashion we decided we needed to spend the week on a roadtrip. So we started looking at the usual suspects: Nashville, Shawnee Wine Trail and Madison but nothing seemed to fit what we were looking for. So when my husband, Mike, suggested Omaha, Nebraska, I figured that fit the bill for unique. But I asked the same question everyone else was asking, “Why Omaha?” Well, after five days I can confidently say I have the answer for everyone! 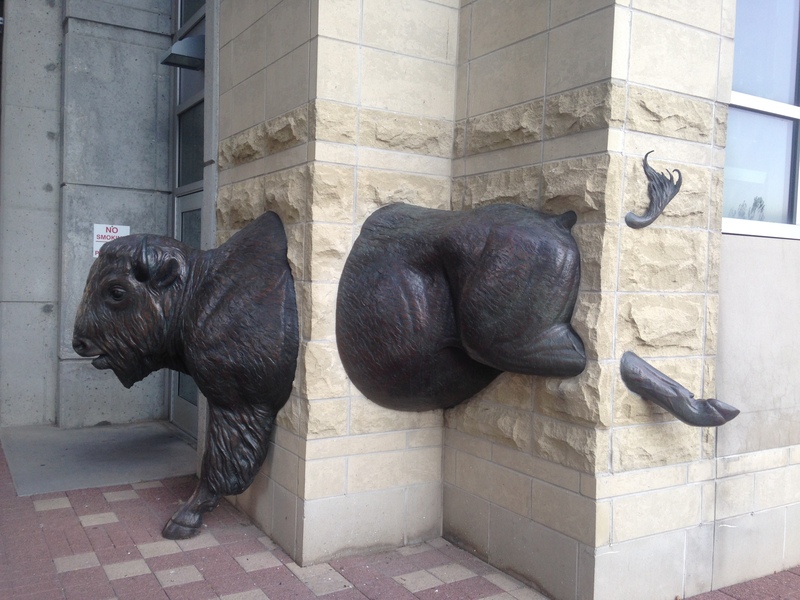 Around every corner, sometimes literally, visitors can spot a bronze sculpture of a bison or a public art piece. One day we decided to get out and just walk around the downtown area. Imagine our surprise when we stumbled upon the First National’s Spirit of Nebraska’s Wilderness and Pioneer Courage Park. It is kind of hard to miss over 100 large bronze sculptures spread over six blocks in downtown Omaha. This was one of my favorite parts of the trip because of how the sculptures weave their way through the downtown and through the buildings. On our way back to the hotel we walked on another downtown Omaha treasure, the Gene Leahy Pedestrian Mall. This ten acre park has art pieces and water pieces around every corner. There were families picnicking in the grass and couples walking hand in hand as they enjoyed the art. Omaha is perfect for walking around looking at artwork. When we first arrived in Omaha we could not believe how many seafood restaurants there were in the Old Market. Most people do not think of seafood when they think of a city in the middle of the country. We found out pretty early on that almost all seafood in Omaha is flown in either daily or weekly. The seafood was so fresh that you can taste it in all of the dishes and especially with the oysters. 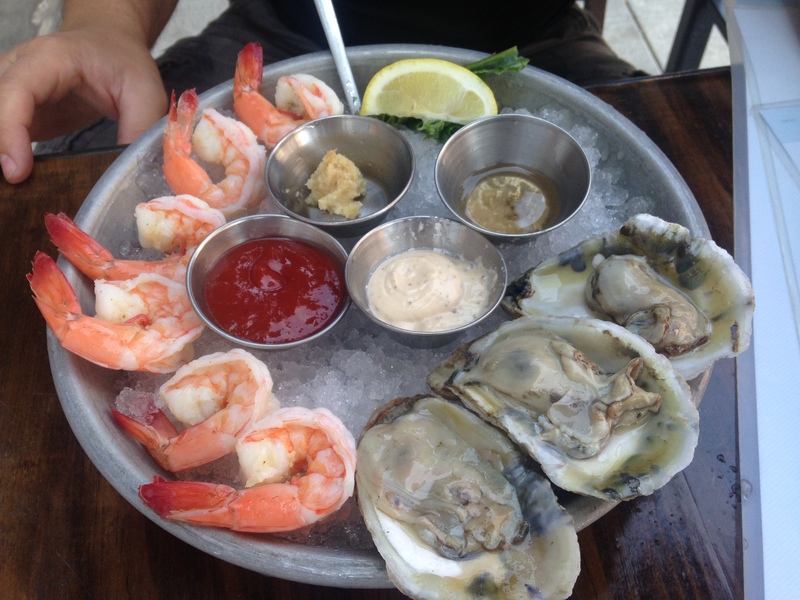 Our favorite place to dine on seafood was Plank Seafood Provisions at Happy Hour! Happy Hour is something that is just now starting to slowly come back to Illinois. However, Omaha is awesome at it! Every restaurant we went to had the drink deals everyone pictures when they hear Happy Hour but more importantly the food specials were what brought the crowds out. Mike and I would often eat four meals in a day, just so that we could have Happy Hour as our pre-dinner course. Specials include: $1.25 each for fresh oysters at Plank Seafood Provisions and $5.50 sushi rolls at Blue Sushi Sake Grill, just to name a few. All you had to do was follow the locals every morning to find the coffee shops. Two of my favorites were Bean Smith and 13th Street Coffee Tea. I tried everything from Dirty Chai Tea Lattes to Vanilla Lattes and they were all delicious. Both shops were packed with locals enjoying their drinks and catching up on the town gossip. It reminded me of the coffee shop I visit every morning in Elgin. If you are a craft beer fan then you will not be disappointed in Omaha. 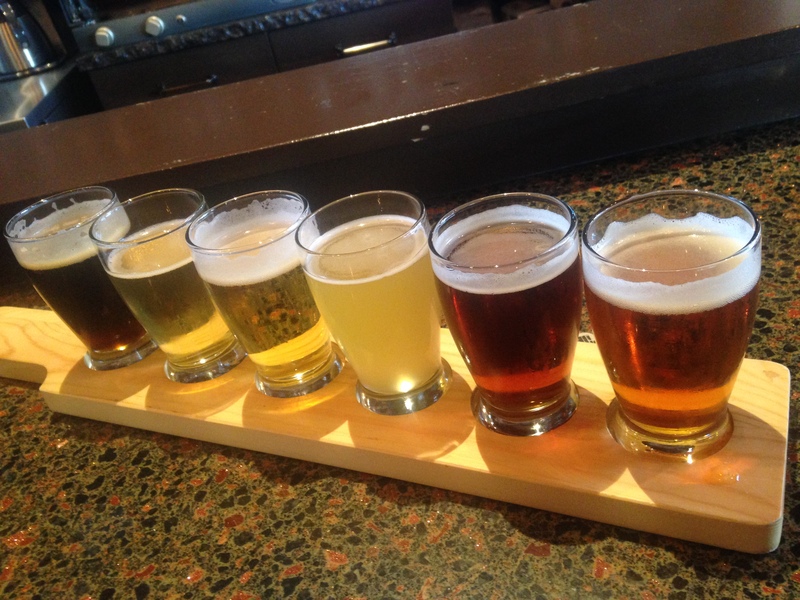 I think the only thing I like more than craft beer is flights. Omaha had plenty of options to choose from. I started my beer adventure at Upstream Brewery with a flight, beers are all brewed fresh on-site. They had one of the largest beer selections I have seen at a brewery, so I had to enjoy a couple flights. Afterwards we then headed to Brickway Brewery & Distillery (pictured to the right). They offer craft beer and spirit flights which was a nice treat since Mike does not drink beer. He really enjoyed all three of the spirits they had in the flight. These are just some of the numerous reasons I could give you for “Why Omaha?”. I would also add in the Omaha’s Henry Doorly Zoo and Aquarium with the largest indoor desert for visitors to explore. We had a blast exploring the zoo for a couple hours. When we started researching our trip to Omaha I called the Visit Omaha office to figure out the best place to stay if we did not want to have to drive everywhere. They recommended the Hyatt Place Omaha/Downtown-Old Market and we were so pleased with the hotel and location. We only had to get our car out when we went to the zoo, everything else is within walking distance if you put on some comfortable shoes. So now you know why we picked Omaha. Let me know what I should add to my must see list for our next visit to Omaha. ***Note please do not drink and drive. Must be 21 to drink. This entry was posted in Date Night, Traveling on Thursday and tagged Anniversary, Downtown, foodie, History, Omaha, Roadtrip, Sculptures, Visit Nebraska. Bookmark the permalink. 2 Responses to Why Omaha, Nebraska? Lauritzen Botanical Gardens near the zoo, Blackstone District including Crescent Moon, a bar with amazing food (get the Reuben sandwich ) and a TON of craft brewed beers (Chris will help you find one that fits your tastes ). North Downtown is an up and coming area. Check out the Hot Shops art studio collective! South Omaha is pretty amazing as well. You can get some bomb tamales at Jacobo’s, and street tacos from a myriad of taco trucks. The Lithuanian bakery in South Omaha has a torte to die for. There’s a ton of cool neon signs and murals along Leavenworth Street and Dundee is pretty hopping as well. I could go on and on…I am Omaha born and raised and still discovering new things about my hometown! Thank you! I will have to add all your tips to our next itinerary.